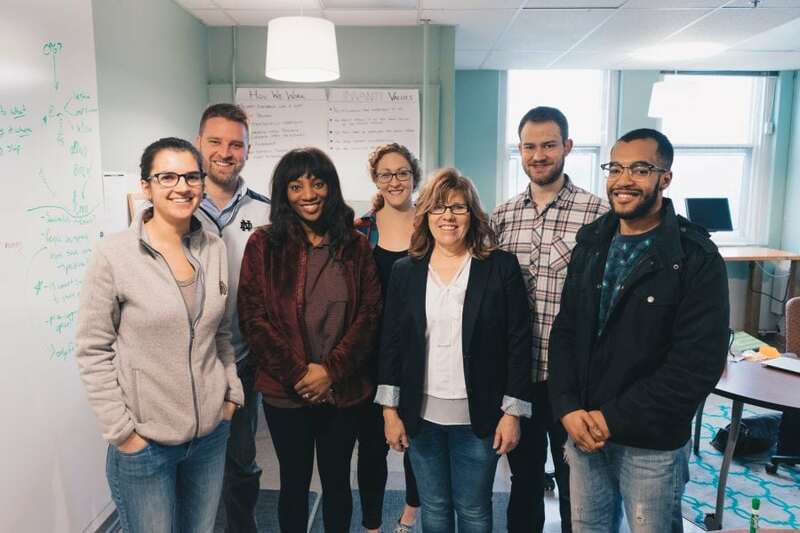 When Maria Gibbs and Dustin Mix were working on degrees at the University of Notre Dame a few years ago, they noticed a gap in the local entrepreneurial ecosystem. They were used to attacking big problems as part of their university research, but they weren’t seeing similar issues being addressed by entrepreneurs, which they felt was a huge missed opportunity. Gibbs and Mix also saw a lack of transparency in startup communities regarding which startup founders and ventures were supported by investors. So the pair decided to create Invanti, a startup generator based in South Bend, IN. Invanti researches the most urgent challenges Americans are facing to find where social entrepreneurship might be deployed for a scalable solution. Then, Invanti looks for people who want to be entrepreneurs—no previous experience necessary—and puts them in a six-month program to brainstorm further and build early-stage companies. Gibbs says Invanti first defines a problem, such as financial health, and then recruits people who would make great entrepreneurs even though they may not have a specific idea for a company. The recruitment process looks at the person’s track record and past experience, receptiveness to the ideas of others, and ability to move forward despite obstacles. Five people ended up in the inaugural program last year, and the startups they created ranged from alternative financing for home ownership to financial management for people in addiction recovery. Three of the five founders eventually relocated to South Bend permanently. In 2018, Gibbs says Invanti will focus in part on making sure the first cohort is successful by connecting them to “downstream mentors.” She hopes to recruit six to eight people for the second cohort starting in June.